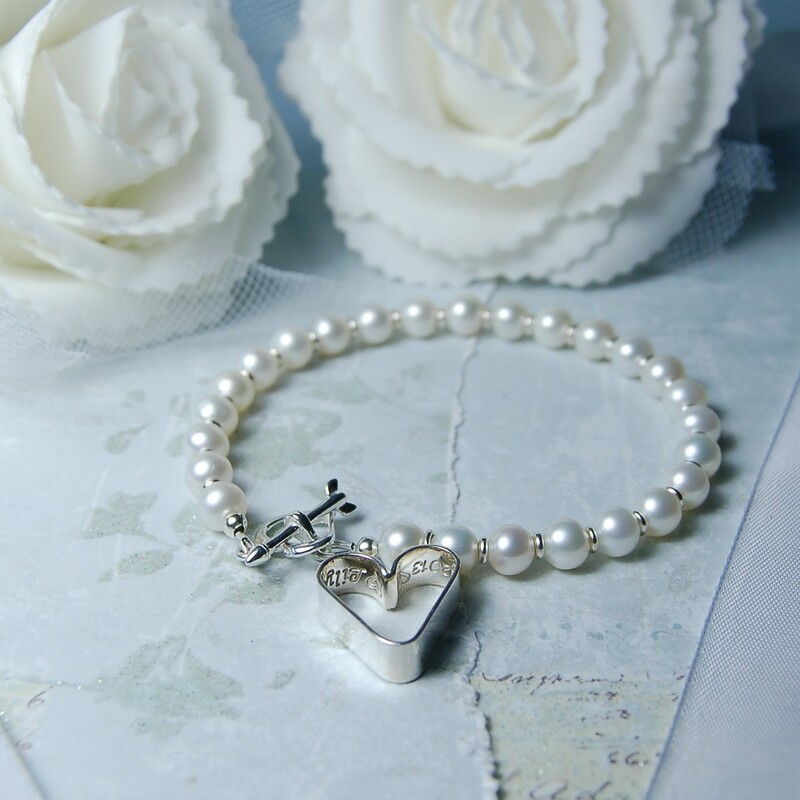 Your own personal message will be etched deep into sterling silver sheet which is then formed into a romantic open heart shape with the message on the inside so that it is secret to the wearer. 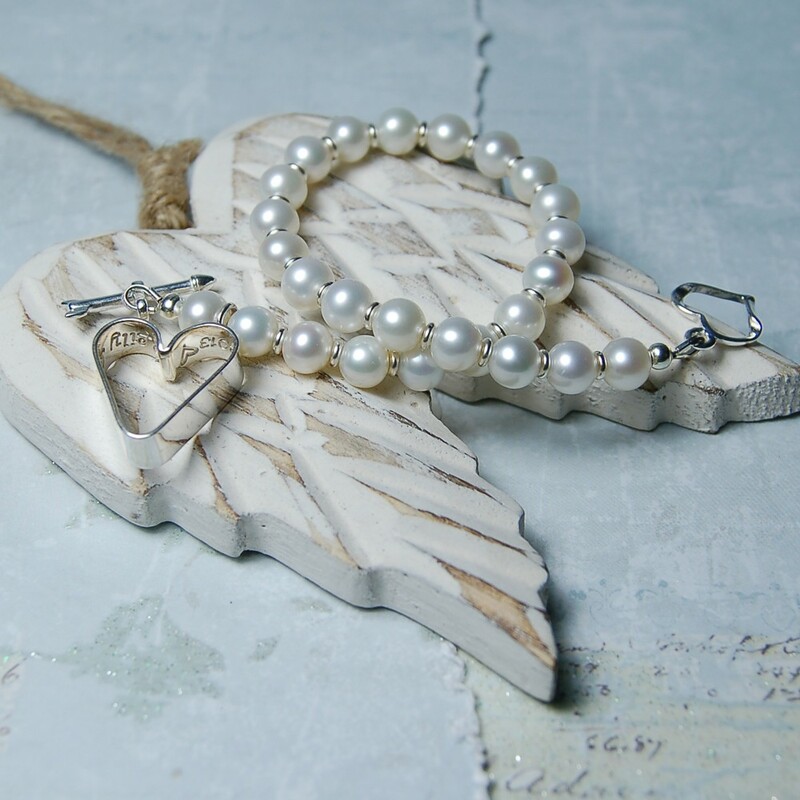 She knows it’s there, she knows you gave it to her, she keeps your message close to her heart.A beautiful and original gift for Mother’s with the names of their children, for Wife’s and Girlfriends with messages of love that they can carry with them or for friends celebrating a special milestone birthday. 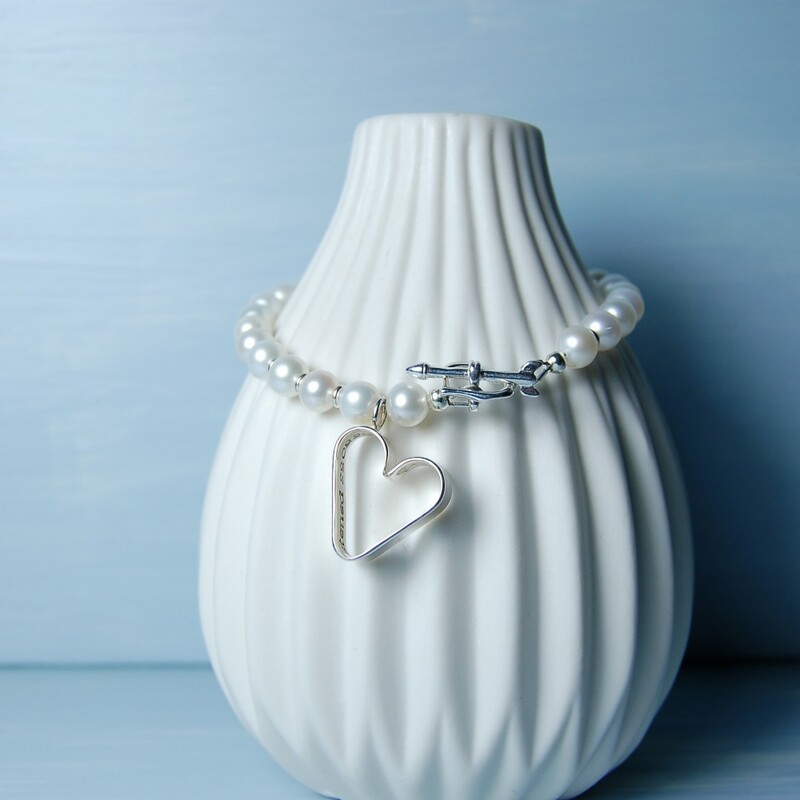 Your message could be a message of love, an extract from a poem, a meaningful song title, your names and date of wedding, a special anniversary message or even children’s names and dates of birth. 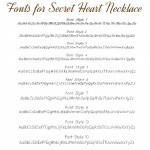 You also have the option of including the hand drawn hearts at the beginning and end of message as shown on the product image. 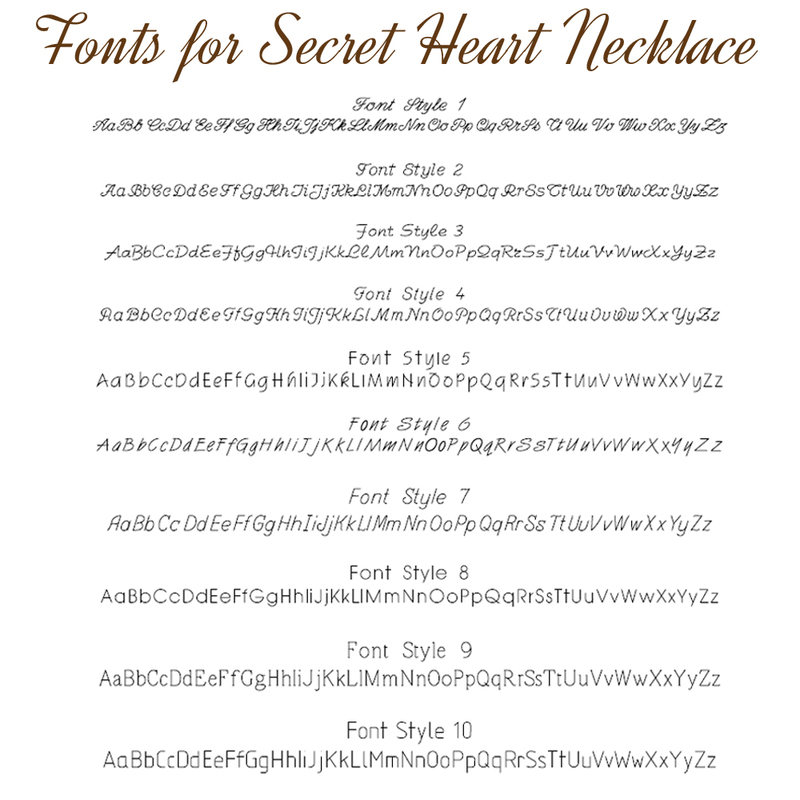 You have 33 characters and that includes spaces. IndiviJewels designs and makes all its own work so if you would like something a little different then please contact us and we will see what we can do for you. 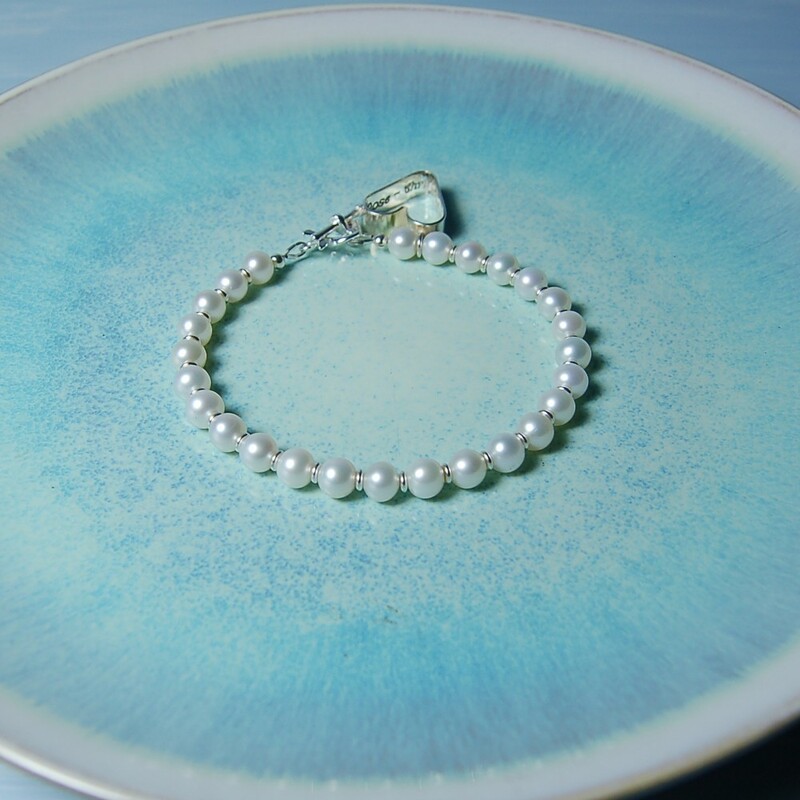 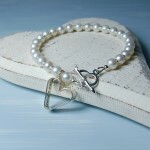 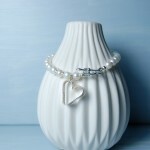 Materials used in the making of this bracelet are sterling silver and graded freshwater pearls. 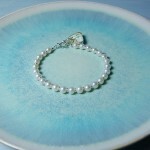 The freshwater pearls are approx 7mm.